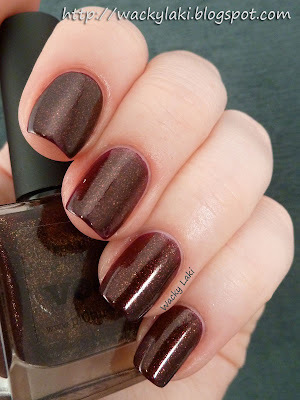 Color Name/Number: Voodoo - See the darkness, feel the magic! VooDoo is gorgeous, and this mani is so fun!! 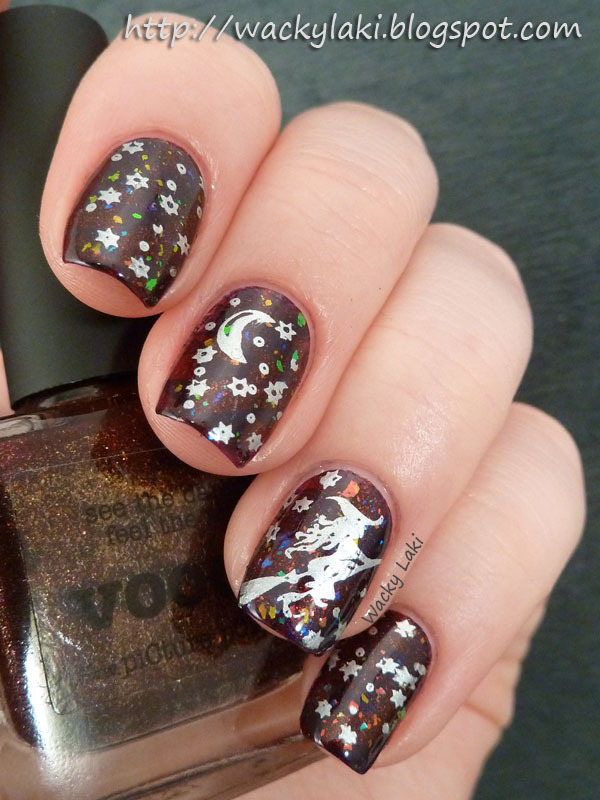 A Halloween-themed mani that actually looks beautiful and wearable. Congratulations! I simply adore this mani - it looks SO good!!! Super rich colour. 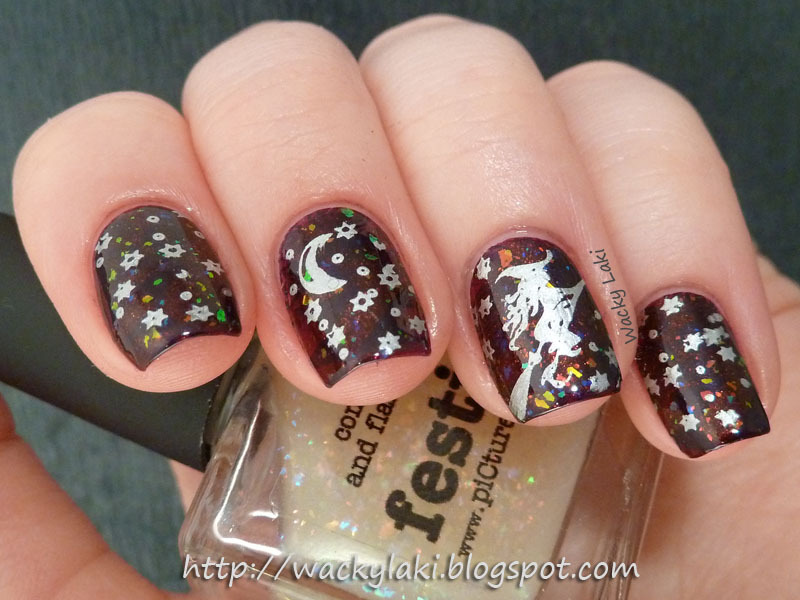 And the stamping is neat too. The cutouts make the stamping look unique. 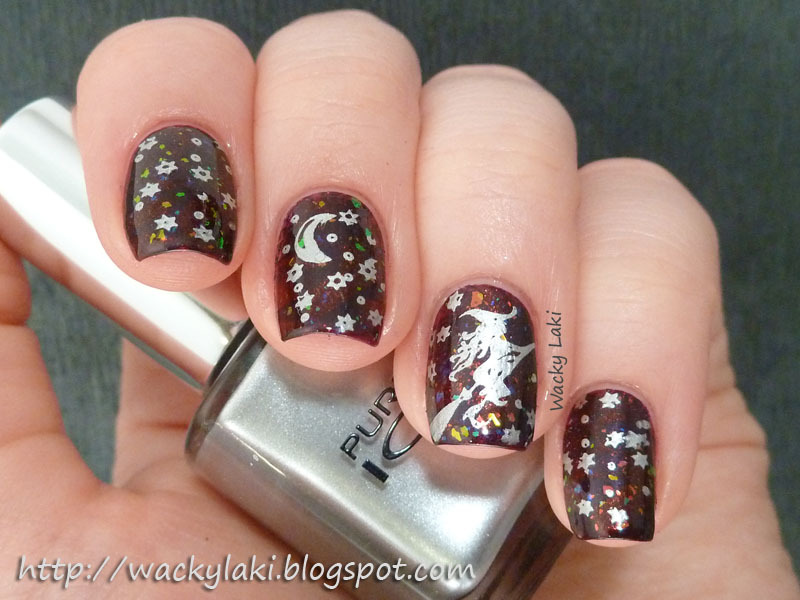 My witch mani was the hardest for me to do too! Yours looks amazing! @Marissa, Thank you! It was more of a challenge than I expected. Really wasn't sure what to do! I like the base colour very much, and you've done great work with the pattern and stamping!